You are not logged in. [Log In] Meridian Unplugged » Forums » Restaurant at the End of Universe » Hitchhikers - Service, Repair, Custom Leads & Interfaces » Marc Koval OK? #267772 - 2017-09-13 16:58 Marc Koval OK? I'm just wondering if everything is OK with Marc Koval? After corresponding with him about the repair of my G68 via email, I sent him the unit a month ago and have not heard anything from him despite several email attempts. I know he has an excellent reputation for great customer service, so I am hoping he is OK. Does anybody have any insight or currently have their unit out for repair with Mark? I also tried to contact him months ago, no reaction at all..?? I think he was at CEDIA all last week and had been on the road a lot before that. I can confirm Marc was at Cedia and is playing a bit of catch up as he's just finished mine. Well worth the wait though - his service is excellent which unfortunately I have had to employ too many times!! On different M kit I might add! I'll be patient. Maybe he has some catching up to do. I know his reputation is excellent. I guess I was a bit nervous to send off an expensive piece of gear off in the mail. I still have not gotten any type of reply. I'm glad he's OK. Maybe my unit is at the back of the line? I'll try to reach out to him again. Just wanted to update this thread. Marc contacted me about a week ago and we got everything squared away. Excellent service and fast turnaround once he got my unit on the bench. I think he just got caught up with life stuff and things got pushed back a bit. Thanks to Marc for continuing to provide such a valuable service to the Meridian community! Marc repaired my processor a few months ago. 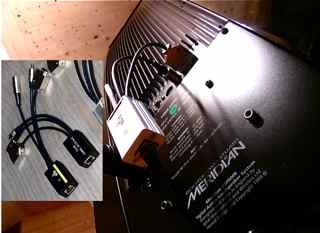 Meridian G68ADV, UHD722 HDMI Processor, DSP6000's (24bit/96kHz) in front, DSP5200HC (24bit/96kHz) in center, DSP5500's (24bit/96kHz) in rear, Panasonic DP-UB820-K Blu-Ray Player and DirecTV. Again I'll pose the question. Donde este Marc Koval? I am the original owner of a pair of 105 amplifiers from the 1980s. They stopped working about 10 years ago due to blown capacitors. I tried going through Meridian USA for repair information, but they were worse than useless. I even tried to replace the caps myself, but to no avail. I stumbled across Marc's name while auditing this forum. I did make contact with Marc more than a year ago and we were on the verge of setting up a repair exchange. Then, nothing. I have tried several times to contact this elusive guy. Does anyone know if Marc is still servicing Meridian equipment? Short of that, does anyone know of anyone else who could service my Meridian amps? Yes he is your best bet. I spoke with him on the phone a couple of weeks ago. Keep trying and you will get him. Thank you for your reply, Bruce. I have tried telephone and email for a year and have yet to get a callback. Do you know if he reads these boards? 5 registered (Tim, Gianni, Nstzya, VirusKiller, Dollar2), 26 Guests and 2 Spiders online. Generated in 0.019 seconds in which 0.004 seconds were spent on a total of 16 queries. Zlib compression disabled.